Happy Holidays! 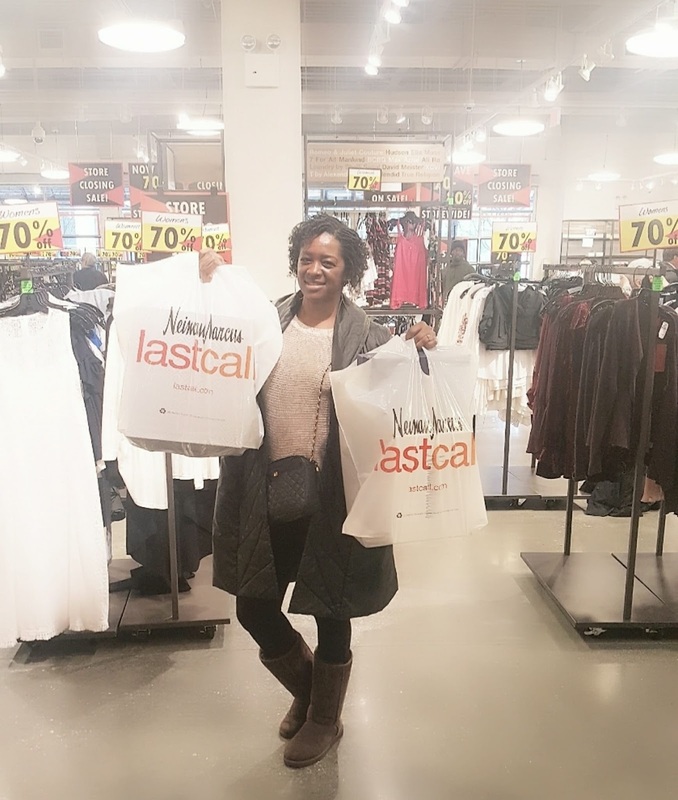 On Christmas Eve, I stopped by Neiman Marcus Last Call Studio at the Lenox Marketplace Buckhead location do some last minute Christmas Shopping. Although, I am an avid thrift store shopper, I do buy presents to give to others on special occasions from the thrift store. Many may not agree with me. But if I gift something from the thrift store, it will be a just because gift or the "I thought you would like this" type of gift. To my surprise, they were having a storewide liquidation sale and those prices felt like I was shopping a consignment store. The Lenox Marketplace store will close it's doors in early January. After doing some research via the internet, I noticed that the announcement was made in early September. Neiman Marcus will close 10 of its 38 Last Call outlet discount stores, to better focus on its highest-end locations. The nine other stores that will be closed are: Philadelphia Premium, Potomac Mills, Arizona Mills, Gurnee Mills, Livermore Premium, Arundel Mills, Philadelphia Mills, Great Lakes Crossing and Horchow Plano. Thank goodness the Last Call Outlet in Sugarloaf Mills will remain open!! You can read more about the their decision to close HERE. Since I was doing some last minute Christmas shopping, I didn't spend as much time shopping for myself. But I did manage to scored three pairs of shoes to add to my shoe wardrobe. My grand total was $161. See what I scored below. These Palmyra Mesh Booties retail for $125. The sale price was $25. I love Neiman's, but I haven't ever visited their Last Call store. I know there's one here at Grapevine Mills, and I see it's not on the list. I should check it out! You got some amazing deals there. I wish we had this store up here near us. I could definitely do some damage in there. 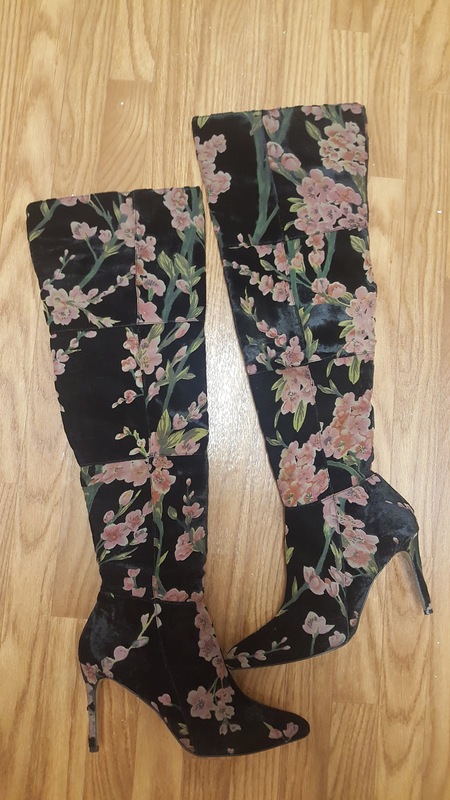 WOW, those floral boots are incredible!! I loooove thrift shopping (did a post similar to this one last week!!) and seeing others' hauls make me so happy. Great finds!! Wow! You definitely got some crazy deals! 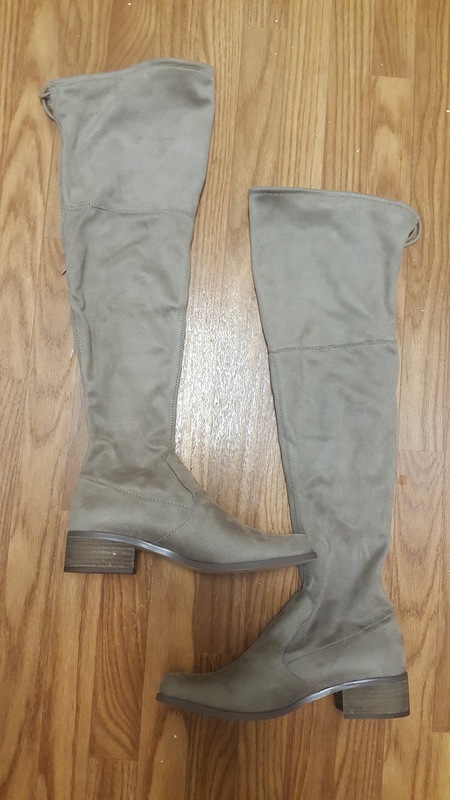 Knee tall boots, regularly $129 for $38.70 is almost unheard of! I love thrift store shopping. I feel like stores confine you to a certain style. You had me in suspense, I sometimes shop at Sugarloaf Mills. I am glad that one is remaining open. When I do get over that way I love browsing that store. 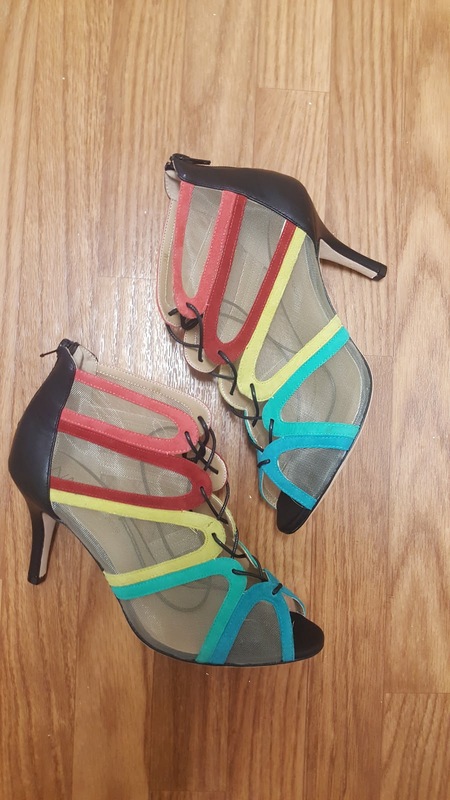 Those are great shoes! They would be cost-prohibitive at retail, nice work! Thrift store shopping is fun especially if you know how to look for the good deals. I think it's okay to buy gifts there if you find something that a loved one will like. I love Neiman Marcus Last Call. There is one close to where I live and it is the first place i go to when I need something new. WOW you scored some deals!!!! I never have shopped at a thrift store because we don't have one near me! Those are DEFINITELY a great deal- and I see no problem gifting liquidation store finds- they are still quality products that someone else paid hundreds for!! It's so exciting to get good deals! Good work, lady! I love all those boots. What great deal you got on all of them. I think the floral are my favorite because I've been looking for a similar pair for a few months now. I love Thrify shopping, and totally think thrifted gifts are great! I don't think we have these stores in my area but now I want to look! I love those over the knee boots that you picked up. Talk about a steal, the price is great too. The boots haul looks amazing!!! I have a Last Call Niemen Marcus near me and it's such a fab place to find some designer items. You found some great shoes! I love those over the knee boots, what an incredible price! Wow, these are definitely awesome deals and prices! Those boots looks lovely! I haven't been to Niemans in ages!! I haven't seen one where I live in GA. But when I lived in Cali, we shopped there often.